First off, this is not the only Jet Black, Black Edition in the US, as the subheading would say. Perhaps they mean the only one at their dealership? The only one in Georgia? Its definitively not the only one in the US. Not even the only Black Black Edition for sale right now. Either way, they are charging for it, like it is the only one. At $125,000, they want about $30k over the suggested retail price of $95k. Black Editions are going to be more rare than the Premium cars, but probably not $30k extra on top of the $5k extra. This is the only 2012 Nissan GT-R Black Edition JET BLACK in the USA! There will be a reserve because this is an extremely rare vehicle. This vehicle will do 60mph in 2.9 seconds. Please ask any questions... I will answer any and all questions, serious bidders only! 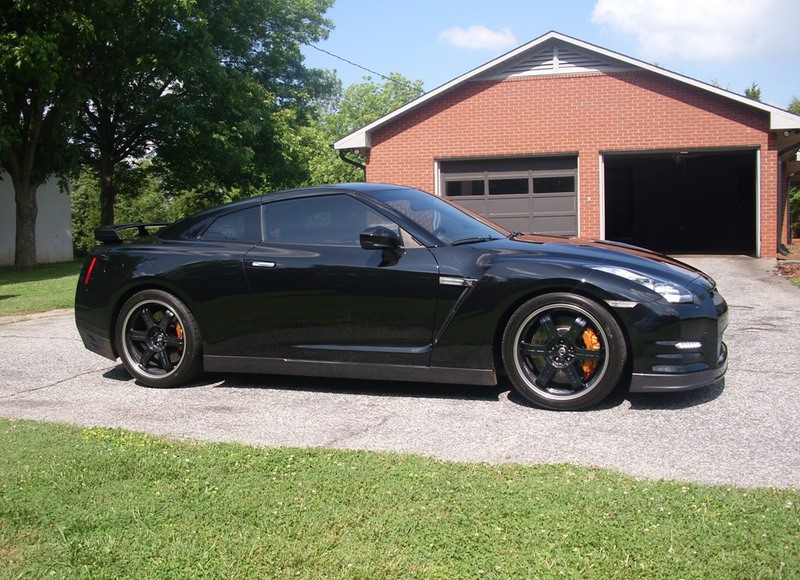 This again is a BRAND NEW 2012 Nissan GT-R Black Edition w/ Jet Black exterior and Red/Black Leather Interior. Happy Bidding! and...one more from the show last weekend. Why does everything always have to be "the only one", "one of 10", "one of only 150,000". The Black Edition really isn't a limited edition. They are making less, but if the demand was there, more would be made. This dealership seems to be as clueless as most of the Nissan dealers. Maybe selling the GT-R at Nissan stores was a bad idea. Maybe as a Infiniti Skyline GT-R it might have been a better buyer experience? Hindsight is 20/20.